The dictionary.com definition of peace is “freedom of the mind from annoyance, distraction, anxiety, an obsession; tranquility; serenity.” Rewind to 2010 and my life was anything but peaceful. My mind was distracted. My life was chaotic. My marriage was hanging on by a thread. I felt hopeless and thoughts of giving up were looming heavily in my head. I think I was a bit depressed then, too. Peace was further away from me than the sun is from earth; or so I thought. The fall of 2010 is when I discovered a peace Paul spoke of in Philippians 4:7 “And the peace of God, which transcends all understanding, will guard your hearts and your minds in Christ Jesus.” It was that dismal night that the lightbulb went off and my spirit gently reminded me that true peace would only come from surrendering EVERYTHING and leaving all of the worries and cares of this world, at the feet of the throne. As tears streamed down my face, I told God that I had tried things my way, however, then, in that moment, He could have it all because it was too much for me to bear. Right there, in the stillness of twilight, I felt God embrace me. It is a feeling I’ll never forget or how much lighter I felt. He took the crud of my life and replaced it with a peace I will never, ever give up… a peace that passes all understanding. When I surrendered everything to God, there was a mental shift. Anything representing drama, chaos, unnecessary distractions became a thing of the past because I refused to take on any of the baggage I had given to God. Yet, despite the hustle and bustle the holiday season brings, peace remains a constant in my life because it keeps me grounded… focused. Peace helps my mind stay right because the daily conversations with God remind me that in Him I have freedom from the busyness of life that can overtake me if allowed to have its way. Daily stressors send me to my knees asking God to remove anything from me that isn’t of Him. Editor’s Note: The following is Denise’s tribute to her mother, Marjorie Powell, who passed away earlier this week. 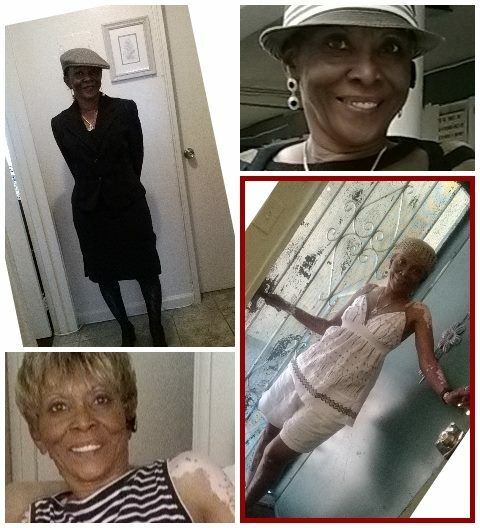 Marjorie L. (Spears) Powell was born on 2/24/56 and called home to be with her Lord and Savior on 12/15/15. She suffered from liver and bile duct cancer since January 2015 and in her way, fought a hard fight against a disease that ravaged her body. This past year my mother was not at peace as she fought this disease. Yet, she would smile through her pain and made attempts to live normally until 4 weeks ago when her body could no longer resist the hold cancer had on it. She labored to exist for the last month and now, she is finally at peace. A peace that passes all understanding as we, her children,family and friends, attempt to have peace in knowing that our mother, sister, cousin and friend is no longer suffering. Peace in knowing that with God’s help, our pain will diminish in time. I’m so sorry your peace is being tested so right now. But I’m so thankful you have the peace we just can’t fathom. You’re an inspiration. Thank you! It’s surely being tested and oh my goodness it’s not easy. Denise, sending hugs and prayers to you. May the God of comfort and peace surround you & your family with joy in the midst of this sorrow. Thank you for your beautiful post. I relate so much to it–indeed such a good reminder to be intentional about our relationship with Jesus, who never gives up on us & brings peace everlasting, if we let Him in. Yes Gretchen…He knew I’d need this reminder as I wrote it last month. I fought my mind as I wanted to write about the peace of the holiday season; my spirit won and now I know why. Thank you for your kind words. Beautiful tribute, Niece. Your light shines through any storm. Stay strong. I am so sorry you lost your mom. it is good that you’ve got the Lord in your life that helps to give you peace.I am a friend of your aunt. the Lord bless you and continue giving you peace. Thank you Ms. Barbie! God knows just what we need an when. He’s made Himself very real in my life and even in my mother’s passing I see His hand in the mix. Being in a relationship w/my all knowing Father is priceless. Be blessed! Thank you for this reminder. I too lost my mom to cancer. I pray you comfort and peace in time. Denise, I’m so sorry for your loss, especially this time of year. I lost my mother to cancer many years ago. I wrote this poem last year when my father-in-law passed, I hope it brings comfort to you. you were young, and healthy and running free. a place where we’re whole, and at peace, with no more worry. he’ll heal your pain and wipe your tears, and set you free. of your fond memories, of your great adventures of glory. that you’re at home in the place we all long to be. that you are loved and in the care of someone greater than me. Thank you for that. It was greatly needed this morning! My dad keeps telling me that my mother is, as you’ve stated, truly free. If you don’t mind, I’d like to use your poem to include in my mother’s obituary. Also, I’m sorry we’re meeting under this way. Looking forward to writing alongside you. Welcome to Grace & Such!